But wait .. I recall my own grandparents, and then my parents, and many others in between, expressing despair over the state of affairs around them and predicting all manner of dire consequences for the future of their children and grandchildren. My grandparents, and even my parents, could never have imagined the world we now live in – other than the fact that my maternal grandfather was very concerned that water would soon become the most scarce and valuable resource on earth! But it seems to me that we can see a pattern here – one in which the elders long for the ways of old and despair the ways of the future, while the young (as a whole) charge ahead into that future with general disregard for their elder’s groans of despair. So I offer an option to focus on as an alternative .. one that could be already familiar to many from the well-known poem “Children” by Kahlil Gibran (and set to music by Sweet Honey in the Rock). These lines from the poem express well how I propose we frame the alternative . . . .
which you cannot visit, not even in your dreams. . . .
. . . .For life goes not backward nor tarries with yesterday. Indeed, just as the generations before us, we cannot begin to imagine how today’s kids perceive the world they inhabit, much less the future world they will inhabit. It is true that some of the fears we harbor for the future might be challenges they eventually face, but they have mental images, tools, concepts and ideas at their disposal that we cannot imagine either. So I say – let’s embrace the future. If we drag and drop anything, let it be the temptation to dwell on all that we imagine to be dire for the future, and instead celebrate all that might be possible! If kids of today need anything from us, surely it is the ability to embrace life and find in it that which nurtures the human spirit. 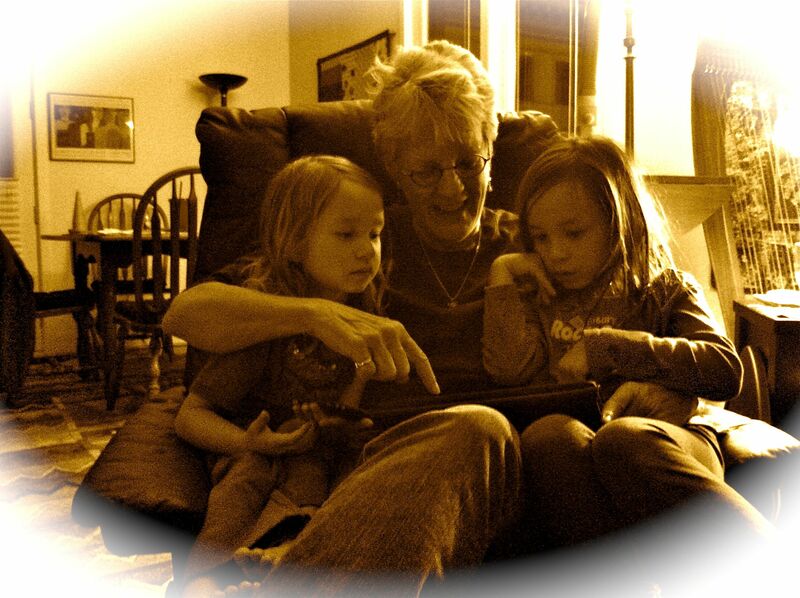 This entry was posted in Reflections, Social Issues, Technology and tagged future, generation gap, iPad, Kahlil Gibran, Sweet Honey in the Rock, technology. Bookmark the permalink.